Come for guided tours of the Design Museum exhibitions with a professional museum guide. Prices: weekdays €60, Saturdays and Sundays €75. Tuesdays at 5 p.m. and Saturdays at 4 p.m.
During the summer period 1st June – 31 Aug on Saturdays at 2 p.m.
+358 9 6220540 at 8 a.m. – 11 a.m. Designed by the architect Gustaf Nyström and dating from 1894, is an excellent venue for all kinds of events. Added value is provided by Design Museum’s changingexhibitions and guided visits. The museum has years of experience of organizing events for businesses, organizations and private individuals. Design Museum’s Auditorium (70 m2, max. 60–70 persons) and Conference Room (16 persons) can mainly be rented during the museum’s opening hours. Exhibition can also be hired upon separate agreement for events outside museum hours (6 p.m. – 10 p.m.). The museum is in the centre of Helsinki and is easily accessed. Rental of facilities from €400/3h for the Auditorium and €300/3h for the Conference Room. The price does not include VAT (24%). The museum’s fully licensed café seats 35 and is open to the public during museum hours. After closing at 6 p.m. refreshments can be served in other areas of the museum. The museum café provides high-standard catering services planned according to the wishes of customers. Various events, such as cocktail parties and buffets, can be held in the exhibition and lobby spaces of the museum. Basement level 250m2, height 200–285 cm, max. 65 persons. Rental from €600 € (+VAT 24%)/3h. First floor lobby ), 250m2, height 360–410 cm, max. 180 persons. Rental from €700 € (+VAT 24%) /3h. Second floor, 700m2, height 420–610 cm, max. 180 persons. Rental from €1800 (+VAT 24%) /3h. Please note that the architecture of the museum’s temporary exhibitions may affect the number of persons allowed in the spaces concerned. The rental of facilities can be combined upon agreement with guided tours of Design Museum’s exhibitions. By phone Mon – Fri 9 a.m. – 11 a.m., tel. +358 9 6220 540. Do you need illustration material? 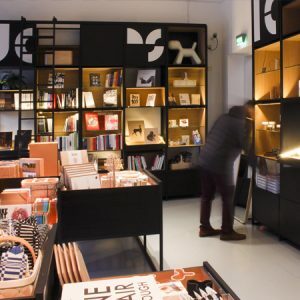 Design Museum’s Image Shop (image.designmuseo.fi) has a wide range of high-standard photographs of Finnish design. Welcome! Finnish design goes together with Finnish cuisine. The museum’s café is run by the nearby Juuri restaurant, with fresh bread, pasties, pies and sweet artisan pastries on sale. To go with them we have locally roasted coffee, beer from the restaurant’s own brewery, and perhaps a glass of wine from carefully chosen small producers. Welcome to enjoy our fare when visiting the museum, or drop in any time. The café is closed on Saturday January 26th. We apologize for the inconvenience. 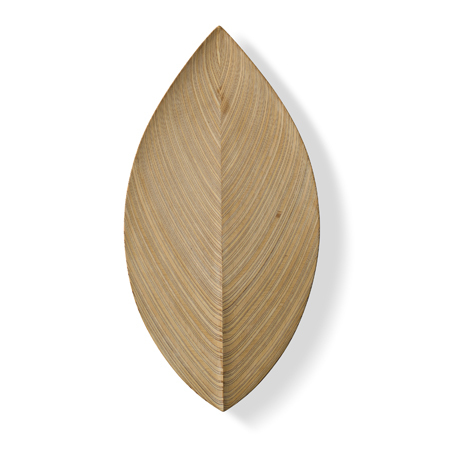 Design Museum online store offers a greata variety of design products and design publications. Come explore, order and have them delivered to Your door. The museum’s collections databases, archives and index of designers are available by appointment for used by researchers in the museum’s premises. Design Museum’s Image Archives are a national central archive body of the field of applied art and design. Single publication rights of images from €100. The Design Museum’s staff information can be found here.